I believe I am seasoned by life and years of service to thrive in a fast or slow-paced environment with organizational and people skills. I am driven by a desire, passion, and a strong work ethic to serve God and love my neighbor. I feel called to the community of Fairfield. 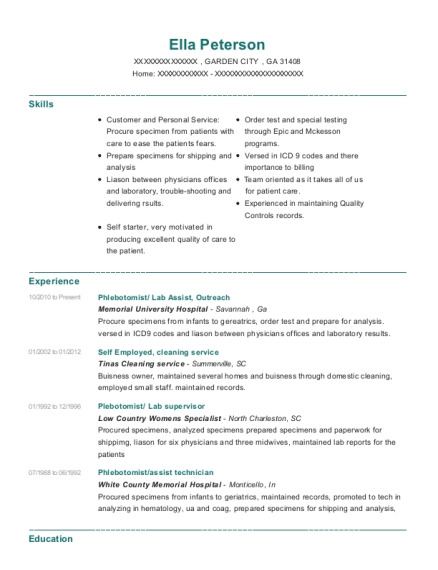 I am currently enrolled in school part time, with flexible scheduling, to pursue a career in nursing. I feel that serving at Hope Health would not only place me in the middle of where my heart lies but would also offer exposure to the medical/nursing environment. It would allow me to be next door to Restoration Academy, where my seven children attend school, position me adjacent to Church of the Reconciler where I volunteer, and situate me a couple of blocks away from the place that I call home. I am at home in Fairfield and will be at home at Hope Health if God intends to place me with you all. 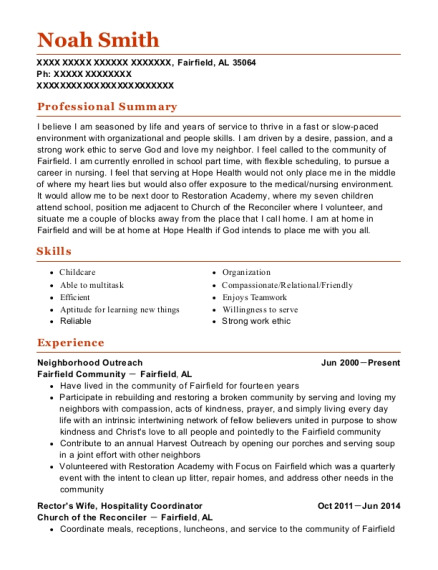 This is a resume for a Neighborhood Outreach in Fairfield, Alabama with experience working for such companies as Fairfield Community and Church of the Reconciler. 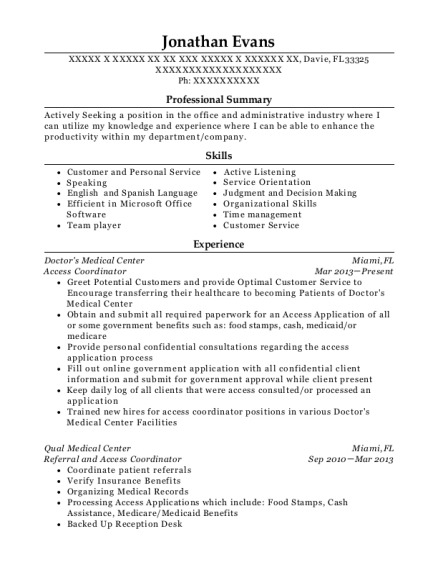 The grade for this resume is 0 and is one of hundreds of Neighborhood Outreach resumes available on our site for free. 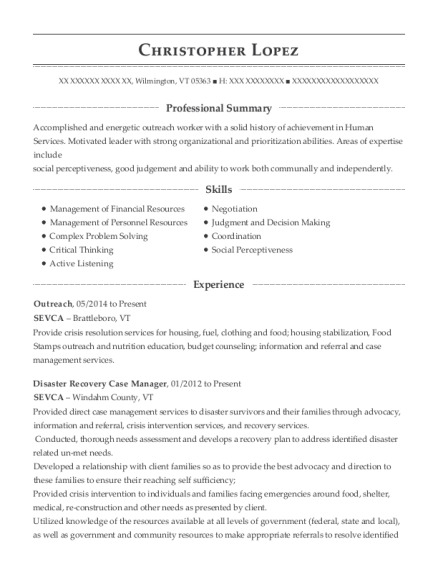 Use these resumes as templates to get help creating the best Neighborhood Outreach resume.